Binance Coin (BNB), the native token of one of the largest cryptocurrency exchanges in the world, has seen its value triple in the past three months, arguably making it the best performing cryptocurrency of the quarter. This has led some experts to speculate that Binance Coin could be following in Bitcoin’s footsteps, which rose to more than $20,000 by the end of 2017. Although many companies are still struggling to stay afloat amid harsh market conditions—Binance, the world’s largest cryptocurrency exchange—seems to be doing just fine. Seeing how the company’s native token Binance Coin has been performing since the beginning of 2019, it appears that outlook towards the exchange, manifested in the price of BNB, is overwhelmingly positive. The Malta-based exchange’s eponymous token has more than tripled in value in the past three months and is currently trading at around $15. This, however, isn’t the case for the rest of the digital-asset market, as it remains mostly unchanged since last year’s collapse, with most coins remaining at 20 percent or less of all-time highs. The BNB coin is widely used by Binance’s users to pay for the exchange’s trading fees. It has also become a popular medium of exchange for ICO issuers, as the coin allows startups to raise money by listing on Binance; The exchange is one of the most liquid trading platforms available and handles around $1 billion in trading volume every day. If history has any influence on the crypto markets, it seems that most meteoric price rises are met with a subsequent precipitous fall. However, some experts think BNB could be different. “We expect to hold them for the foreseeable future,” Jain said. According to Bloomberg, what made Binance Coin attractive to investors is the company’s practice of tying the performance of the exchange to the number of tokens in circulation. After the company’s 2017 ICO, where 200 million BNB coins were issued, about 50 percent of them were allocated to company employees and investors. With the company’s plans to spend 20 percent of its profits each year to buy back and destroy Binance Coin, a steady rise in demand is expected. 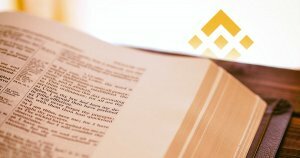 The mechanism also allows Binance to simulate equity in the company without the same constraints of issuing stock. Changpeng Zhao, the co-founder of the exchange, said that Binance was in the same boat as its customers. “We don’t want the price to drop, to be negatively impacted. We are very much aligned with our investors,” he told Bloomberg. But, even though share buybacks are a common thing among public companies, it has raised concerns over whether BNB coins are actually securities. Zhao noted that he didn’t believe the coins should be classified as securities. However, many members of the crypto community are still worried about the coins falling under the jurisdiction of local regulators, as it would make them subject to both federal authorities and state securities departments, impeding the trade and availability of the cryptocurrency. The post Binance Coin (BNB) Rallies, Triples in Value in Three Months appeared first on CryptoSlate.